We are all busy people and finding the best information on inbound marketing takes time. So we all look to the top inbound marketing blogs to get this information, but the problem being it is not always easy to find the best ones. There are already great lists out there like this one from Hubspot and another one from Impact. Two great blog posts and they have some really great blogs listed. The only problem is that there are over 64 blogs in the combined list. Not all of these blogs post content all the time and some of the content varies in quality and no one has time to read that many every day. This is why I have put this post together, to cut through the long lists and give you eight inbound marketing blogs that you need in your life. This list is short so if you add them to your RSS reader (I would recommend Feedly) you can have all the best inbound marketing news and tips straight to you every morning. I would estimate that you would only need to spend around 30 minutes a day reading these great blogs. How did I decide which inbound marketing blogs were best? How often did they post? How relevant was the content? How helpful was the content? Was the content easy to read? How often did I click on their posts from Feedly? This is my personal favourite and every day it manages to get me to click due to their great titles and content. A fantastic blog that has really great content which will help you get more out of your inbound marketing. Not as well-known as some of the other blogs but they really put out some quality content. This blog has many guest posts from all the experts and covers topics from inbound marketing, social and SEO. Technically not just an inbound marketing blog but they share so much great content they had to be on the list. The Daddy of them all, no one puts as much content out there as Hubspot and lucky it is of high quality too. The posts on this blog are like hidden gems and are so well written you can’t help but read them all. This is the one to watch, they have been really upping their game lately and posting some really helpful content. 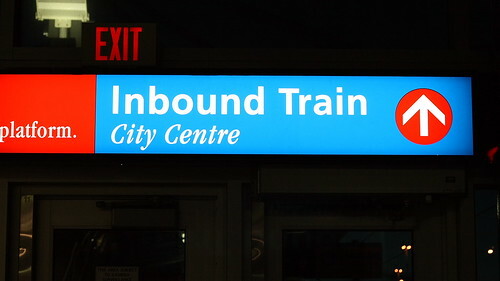 We all have our favourite inbound marketing blogs and I hope you enjoy some of these listed. Heck, I hope that you consider the Stargazer blog as one of your best inbound marketing blogs. Are there any blogs you enjoy reading every day that you think should be on this list? Do you disagree with the ones I have listed? Then let us know below.